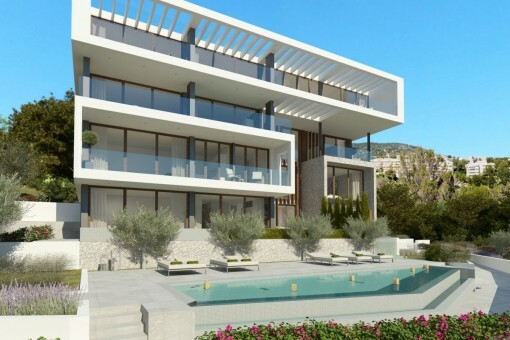 Currently under construction in the quiet residential area of Ca's Catala, very close to Palma, is a small residential complex with luxury apartments which is scheduled for completion in 2019. 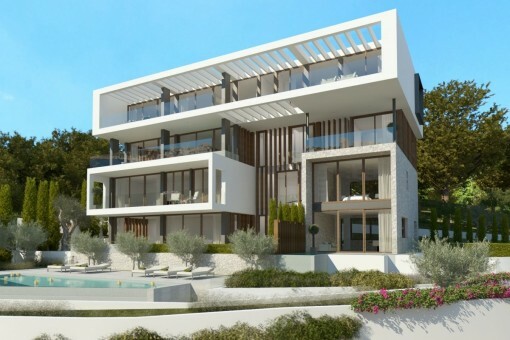 The apartments have been designed by a very reputable architect who is very successful in Mallorca. 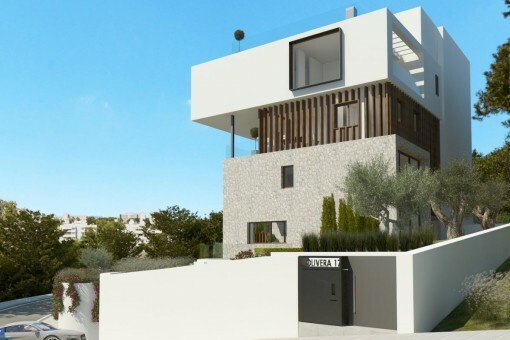 The building, situated on a slope with wonderful views of the sea, will be built with a very sophisticated and modern design using only the highest quality materials. 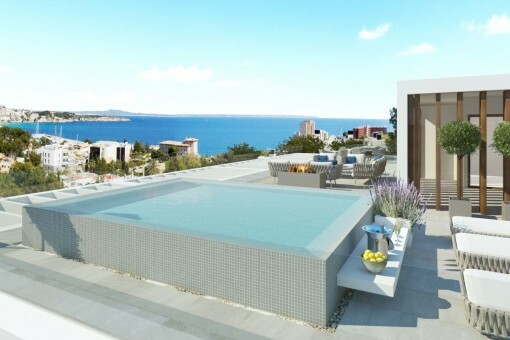 It will have a large communal pool with a generous terrace. 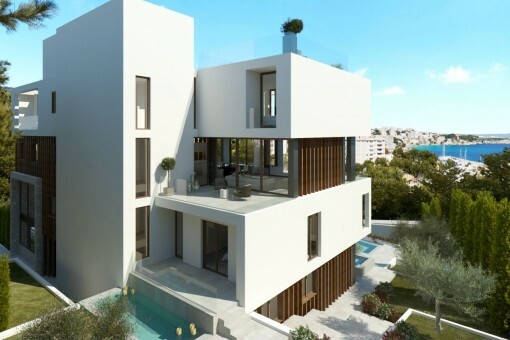 This apartment will have a living space of 206 sqm distributed over 3 bedrooms, 3 bathrooms and 3 terraces, and will have its own, private pool. The offer for this newly-built luxurious apartment is rounded off by 2 garage parking spaces and a storage room. Cas Català is the nucleus of the municipality of Calvià , which marks the border with Palma. Its name dates back to the end of the XIX century, when a Catalan established his home there. It is a residential housing with chalets and flats spread on the hillside of woodland. 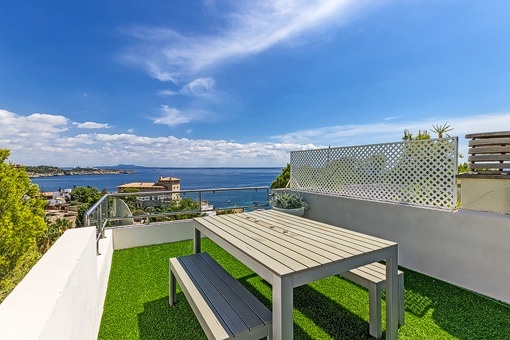 It has two accesses to the sea and a little beach surrounded by terraces. Aside of the beach the five star hotel “Maricel” offers to all guests in its restaurant and the recent opened Spa a wonderful sojourn. This map shows the situation of the Cas Catala in Mallorca. We have compiled a selection of the most beautiful beaches, golf courses, marinas and hotels and restaurants for you. 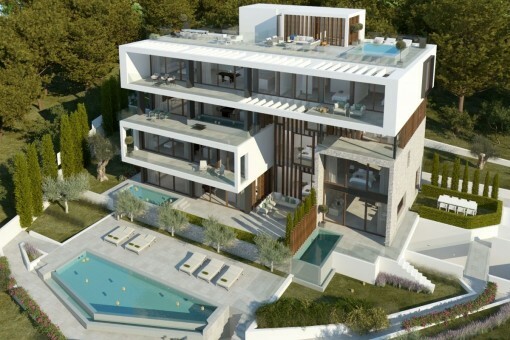 I'm interested in: Luxury duplex apartment with sea views in a small newly-built complex in Ca's Catala (Objekt-Nr.077183). 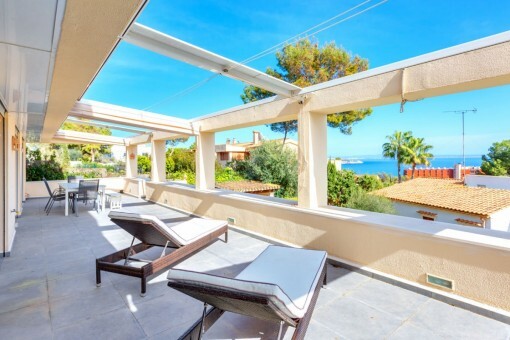 you are reading: Luxury duplex apartment with sea views in a small newly-built complex in Ca's Catala-purchase · Porta Mallorquina Real Estate Rating 4,8/5 by 200 testimonials.